Hi Everyone! I am so thrilled to be guest posting for you today while Michelle takes care of her new little girl. When Michelle asked me to guest post I couldn't believe it. You see, I have been reading So Wonderful, So Marvelous for quite some time... waaaaaay before I ever had a blog. And when I did finally create The Scarlet Cardinal, my blog about life in Philly and adventures at home, I finally came out of lurkdom and commented on Michelle's blog. She was one of my very first bloggy friends, and continues to be a great support and hilarious confidante as I grow my little corner of the blogosphere. I don't need to tell you all how fabulous Michelle is, and so I felt a little bit of pressure to write a great post for all of you. And so while thinking about Michelle and all the amazing people I've interacted with due to blogging, I was inspired. I love my imaginary blog friends and they bring laughter and fun to my every day. In fact, I think they are way better than some of my friends that I have actually met in real life. 1. Your blog friends appreciate your quirky/snarky/goofy sense of humor and love you for it. Or, at least you can't see them roll their eyes at your corny jokes. 2. You can know intimate details of their lives without ever having a conversation and that doesn't make you a creeper! 3. They will share your great recipes, tell you how snazzy your profile photo is, AND retweet that funny thing your dog did all in the same day. 4. They will never judge the way you look. Since they don't see you every day, they have no idea you've gained 5 10lbs and so they will always think you look fabulous. 5. They love your mod podge obsession/glitter mania/curtain collection and probably have one of their own. Therefore, you're no longer "the weird craft girl" in your circle. 6. They are always up on the latest and greatest and can help you find a great deal on it too! 7. They will always have the best ideas for that party you're planning, and won't judge you for using pom poms as decor, since even though they are so last season, none of us are really over that trend....right? 8. You can bond over a meal without fear that they will see the food in your teeth or the BBQ stain on your shirt. 9. You can learn from each other! Learn about new cities or countries, great restaurants, how to make that whachamacallit all by yourself, how to deal as a parent, or just about anything else you can think of. 10. Finally, your fellow bloggers support you-ALWAYS! They leave encouraging comments, and helpful tips. They might let you know about a possible sponsor, or sponsor you themselves! They won't laugh at you when you say you have no clue what HTML is, and they will help you navigate and grow your blog. And they DEFINITELY don't think it's silly that you write about your life and share it with "strangers" because let's be honest...we're all family here anyway. Thank you all for having me, and I hope we can become blog friends soon! Feel free to visit me anytime! Melissa is a Chicago girl transplanted to Philly. 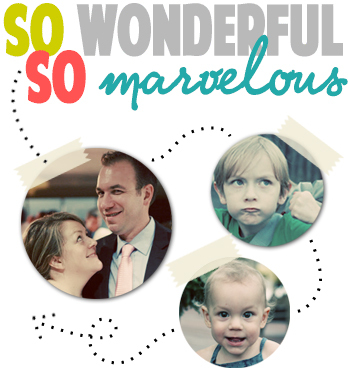 She blogs about her fair city, life as a newlywed, and her Big Goals for 2011. Get yourself over to The Scarlet Cardinal and say hello! glee! why didn't you tell me about this girl-my philly meet up dreams can come true! i just want to go, not organize it, of course. and get free swag. i'm going to her blog as soon as this comment posts! First of all, cutest blog header ever. Second of all, well said. Technology is so amazing. Here I am someone who has always dreamed of traveling and doesn't get to visit many places, and yet I have friends all over the US and get to cyber crash homes all over the US. I just think that's so cool! This is so true. This post, plus the picture of Bebe Beautiful, has made me all sappy - I'm on the verge of tears from all the warm fuzzies. I'm going to get a tissue.